Just as the war-time government had found Wanstead Flats useful for their purpose (see here), so those responsible for post-war reconstruction saw great possibilities in using the common to help rebuild the country. But strong resistance from a local 'Wanstead Flats Defence' committee, and others, helped save the area as the common land, wild life preserve, it is today. 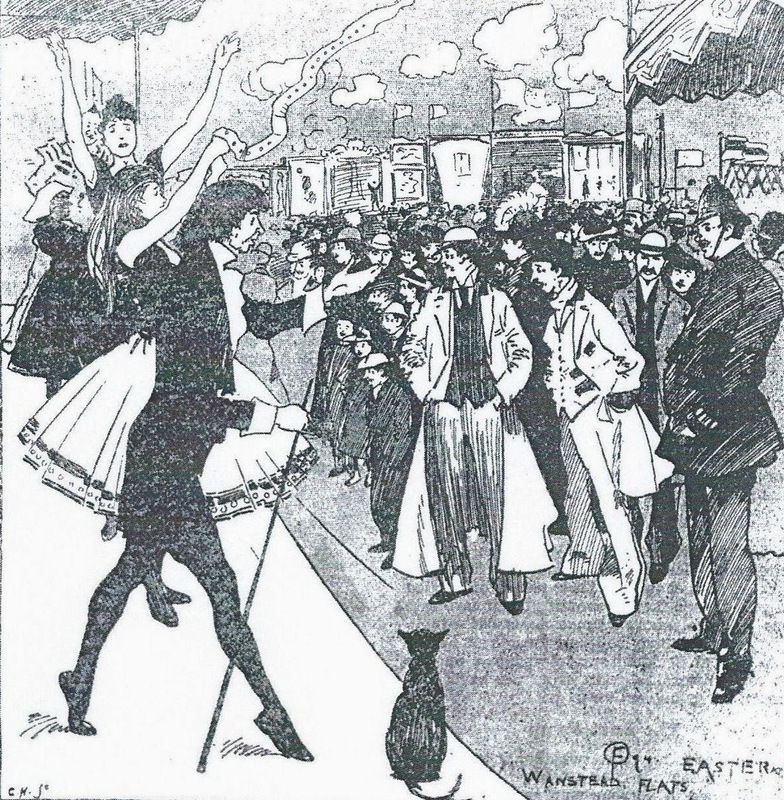 This blog is greatly indebted, yet again, to the Leyton and Leytonstone Historical Society's efforts for much of its content. Their 2008 booklet, Homes for Heroes or Space to Breathe (for details see footnote)tells a gripping tale. Epping Forest, of which the Flats are the southernmost extremity, has a recorded history as a royal hunting ground, and later common grazing area, stretching back to the middle ages. The pressure to build houses on it, as part of the rapid suburbanisation and spread of railways from the mid nineteenth century was considerable. How easy would it have been for the rapidly developing Forest Gate, of the 1870s just to have nudged a little further north, take it over as part of urban sprawl, and thus destroy the Flats forever? We are beholden to the City of London for its late 19th century intervention. 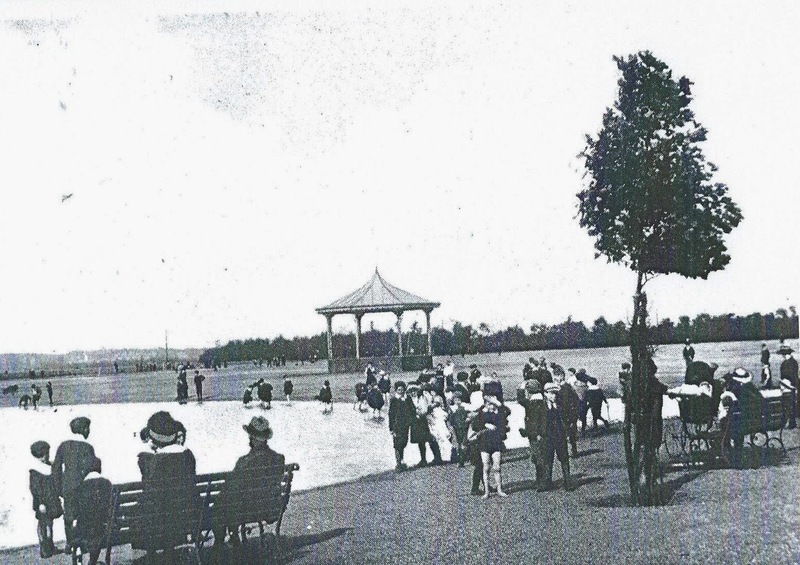 Following an Act of Parliament it sponsored in 1878, the council took over responsibility for managing the Forest, including the Flats, to preserve what remained of it as: "unenclosed and unbuilt on as an open space for the recreation of the public." 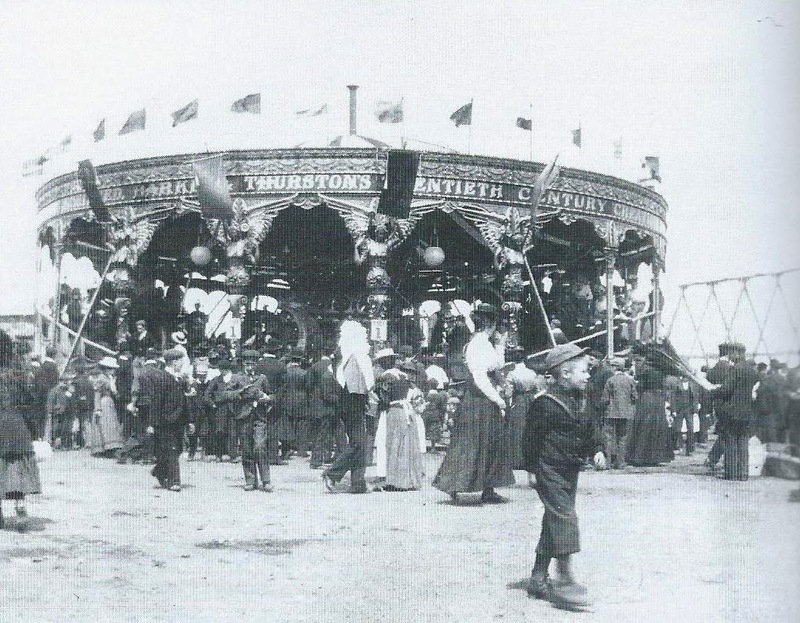 Organised sports and holiday fairs began to appear regularly on the Flats from the end of the nineteenth century. 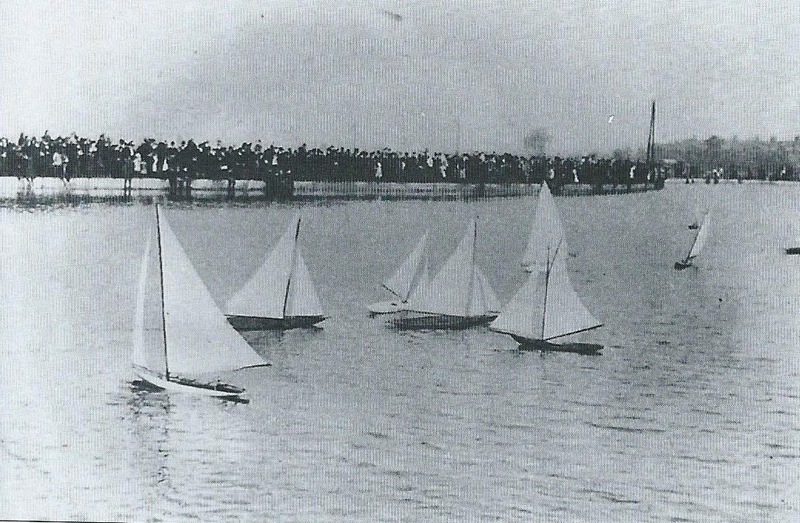 In the early years of the 20th a model yacht pond was constructed, and a bandstand at the corner of Capel Road, near Angell Pond - which attracted large crowds, particularly on Sundays. By the 1930s over 100 football clubs were using the Flats regularly, and as we have seen, the area became a Sunday meeting point for local fascists, being situated close to their local Woodford Road headquarters. During World War 2, as shown in the previous blog, the Flats housed a Prisoner of War (PoW) camp and also anti-aircraft batteries. The area to the north of the Flats, particularly around Aldersbrook Tennis Club, consequently, suffered considerable bomb damage during the conflict. By the end of the war, the Flats were in a poor state of repair. Much of the area had been churned up by military vehicles, or turned into allotments. 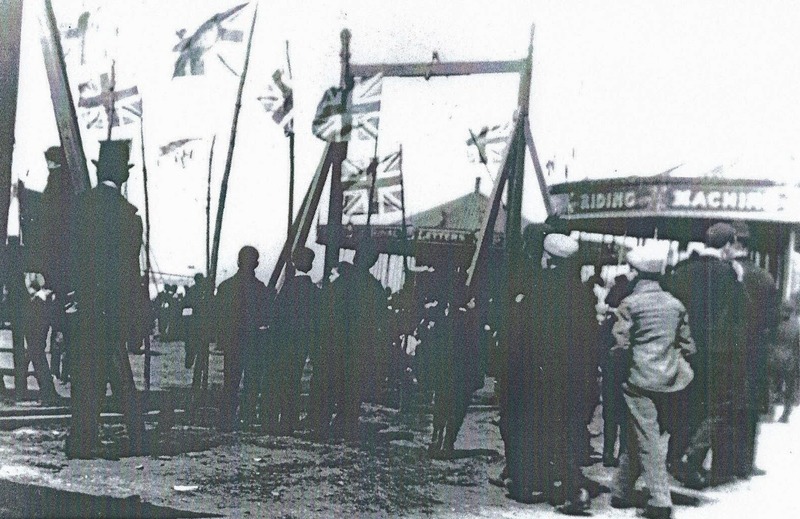 East Ham and West Ham councils had been allowed to build pre-fabs on part of the Flats, as temporary accommodation for those bombed from their homes, to the detriment of local wildlife. 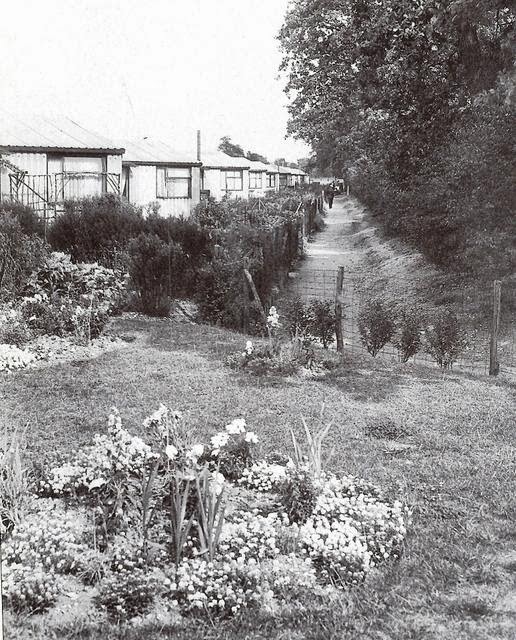 The councils had negotiated with the Corporation of London to build temporary "hutments" on the Flats, as accommodation for the bombed-out, blitz victims. The conditions were that the accommodation was to be temporary (two years, in the first instant) and constructed of short life materials (asbestos, as it happens!). In West Ham, alone, 14,000 households had been destroyed by war damage, mainly in the areas surrounding the docks. This huge loss of housing and pressure on the surviving stock was soon compounded by large numbers of returning members of the forces needing somewhere to live, which in turn provoked the post war baby boom. Housing and space for accommodation, 'fit for heroes', were major political and social issues at this time. 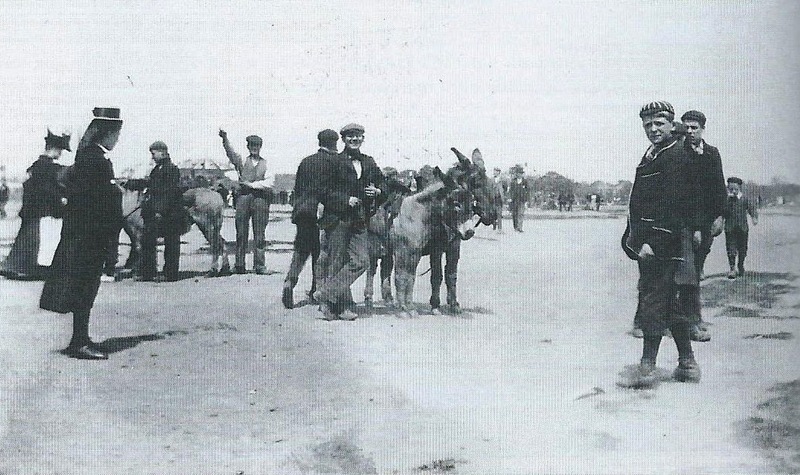 Unlike today, when there is an obvious housing shortage and crisis, the reconstruction, Labour, government then sought to address it by direct and interventionist action. 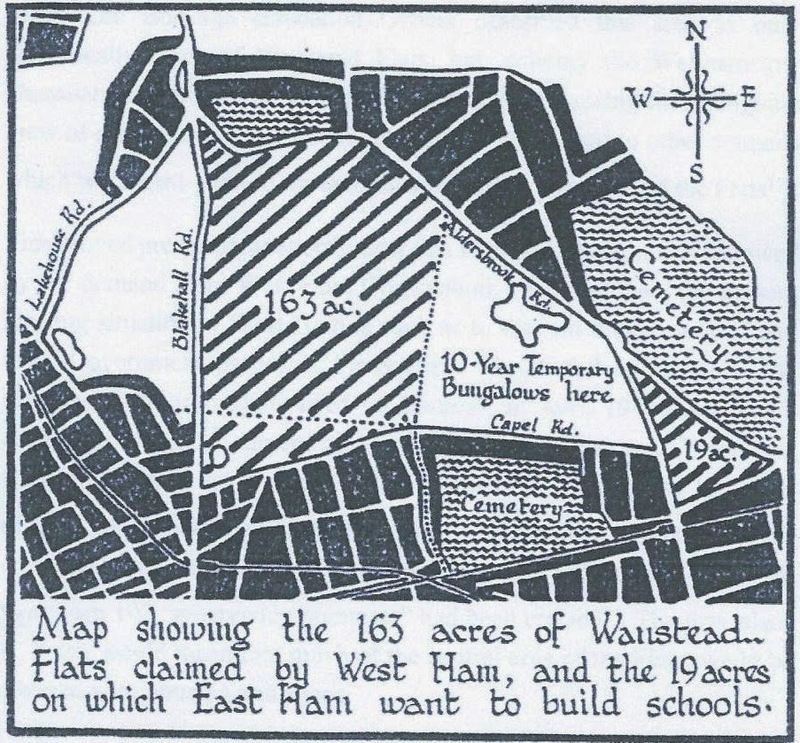 With this as a back drop, West Ham, council in 1946 proposed acquiring 163 acres of the Flats (see map), via a Compulsory Purchase Order, for new housing. This was on the land already partially occupied by the 102 pre-fabs that had already been built as temporary accommodation, and it was envisaged would provide housing for 7,400 people. Encouraged by this move, Walthamstow council began to develop similar plans and East Ham council sought to build two secondary schools and a technical college on the wedge of land between the City of London cemetery and the Golden Fleece pub. These development proposals received strong support from the Labour government and NHS founder, Aneurin Bevan, in particular, as they sought to help reconstruct the infrastructure of the country. Referring specifically to the Flats, and the CPO proposals, Bevan declared "I regret very much that we have to do it, but the people of East Ham must have shelter. The Commoners of Epping Forest must surrender to the overwhelming needs of the people of East Ham." 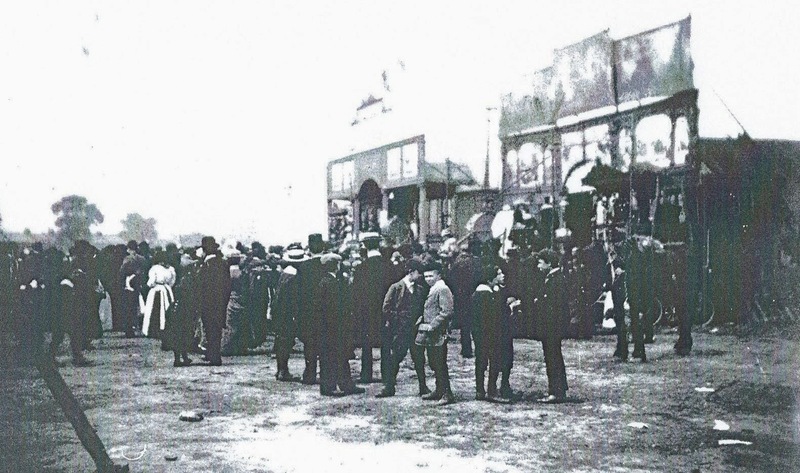 A group of Leytonstone residents, mainly from the Aldersbrook area, and lead by school teacher, Stanley Reed, mobilised a strong local campaign against the development proposals, via a petition and local meetings. Reed, incidentally, was employed by West Ham council, who gave him unpaid leave of absence to assist with his campaigning work against them. Not sure such democratic magnanimity would be extended today. The conflict of views, locally, led to the establishment of a public inquiry at Stratford Town Hall in 1946, which was to last for four days; to which a petition with 60,000 signatures opposed to the plans and 346 formal objections were put. The opposition was formidable, including from the Corporation of London (City council), Wanstead and Woodford council, The National Playing Fields Association, Ilford Trades Council and the Footpaths Preservation Society. The inquiry verdict was delivered in April 1947, and rejected the housing proposals. 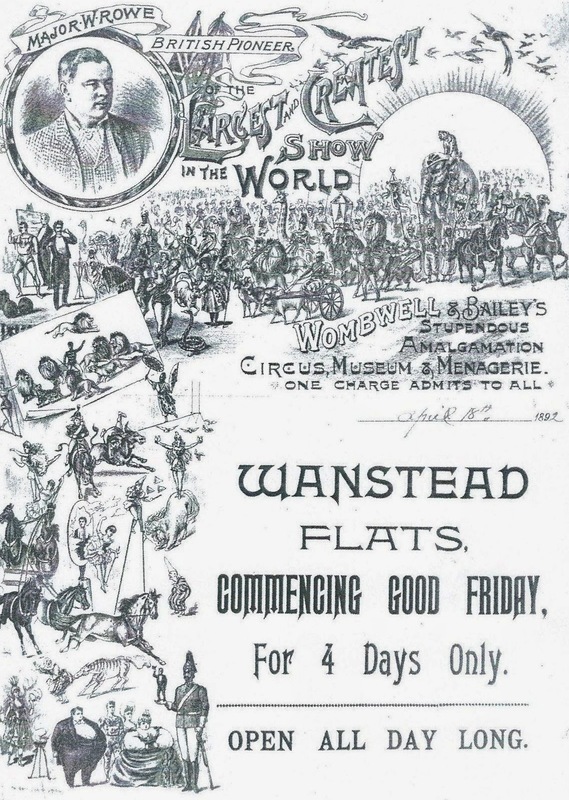 West Ham council accepted it gracefully and committed itself to help the Corporation of London fulfil its obligations to develop Wanstead Flats "as a public opens space, along modern lines". By this latter phrase, they wished to develop the facilities there, by building sports facilities, including a gymnasium, running track, golf course and swimming pool, as well as developing an outdoor theatre. These proposals came to nothing, but the City was stung into action over its generation-long neglect. It responded by embarking on a major restoration programme, of clearing war-time debris and tree planting on the Flats, to enable local people to continue to find solace in this peaceful haven. Footnote: Homes for Heroes or Space to Breathe, by Mark Gorman was published by Leyton and Leytonstone Historical Society in 2008 and can be obtained from their website. We thank them for it and recommend it to you.